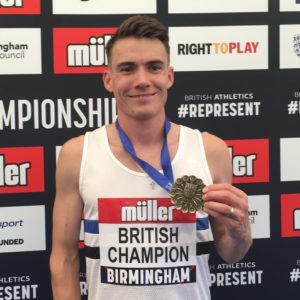 Scots picked up four gold, six silver and seven bronze medals at the 2018 British Champs this weekend, with eight athletes now holding confirmed places at the European Championships in Berlin this summer. 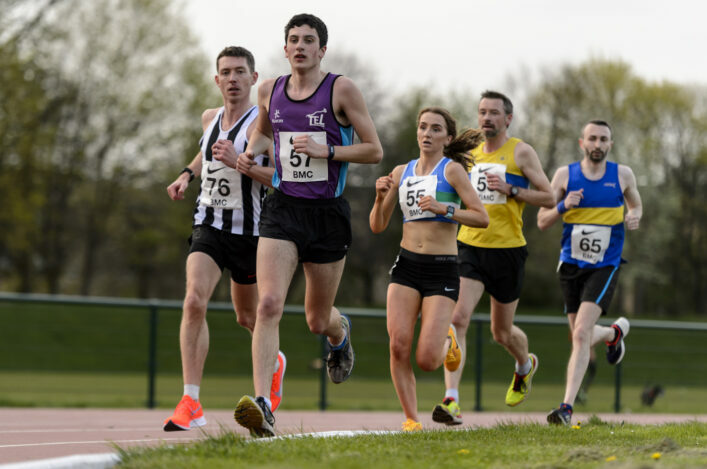 Steph Twell, Laura Muir, Beth Dobbin, Chris O’Hare, Chris Bennett, David Smith, Kirsten McAslan, Jake Wightman. 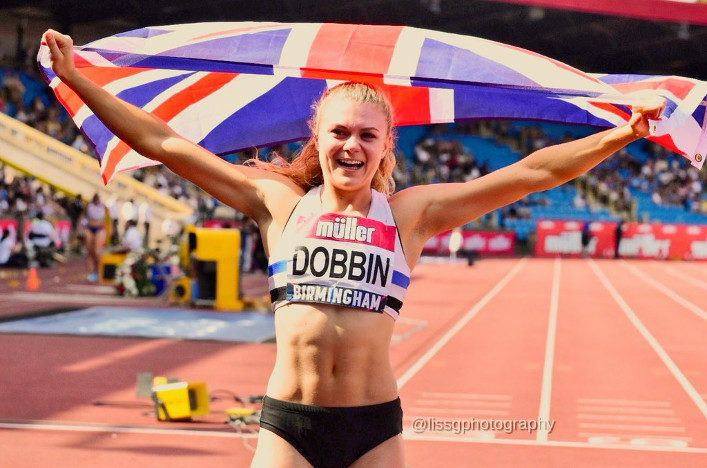 A clear stand-out performance on the second day of the trials came from Beth Dobbin, who landed two successive Scottish Records in the 200m, the second also a Championship Record, to take gold and secure Berlin qualification. She set out her stall with a 22.75 run in the heats, lowering her previous Scottish Record of 22.83, set less than a month ago. But that was just a start, with a 22.59 run in the finals setting her second national record of the day. The men’s 1500m, tipped to be one of the day’s most thrilling events, did not disappoint, with a Scottish 1-2-3 from Chris O’Hare, Jake Wightman and Neil Gourley, with Josh Kerr in 5th. 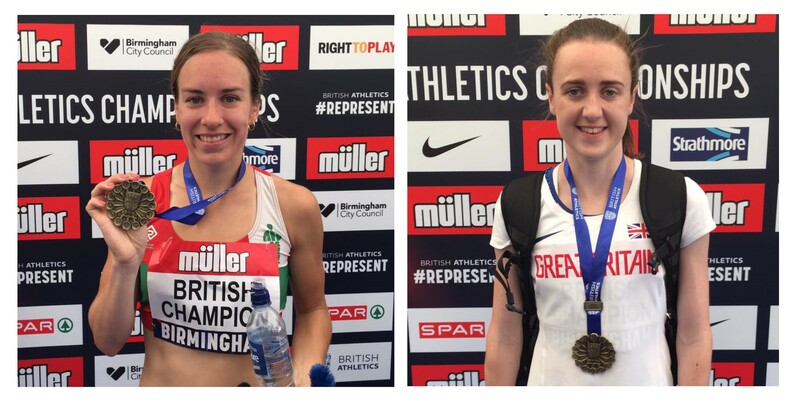 The women’s 5000m also saw a battle between Scots, with both Steph Twell and Eilish McColgan in contention. A strong finish saw Steph take gold in 16:07.24, with Eilish in bronze medal place with 16:08.06. Kirsten McAslan scooped a superb silver medal in the 400m hurdles, less than a year after moving to the event from the flat, running a PB of 56.48 and securing Berlin selection in the process. The high jump saw Scottish 2-3 with David Smith producing a PB of 2.26 for silver, and Allan Smith in third with 2.23. 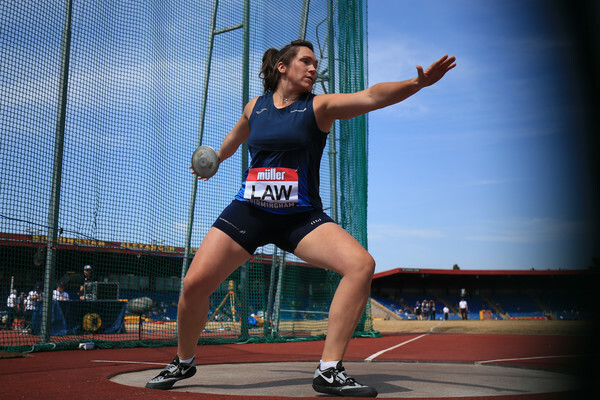 Jemma Reekie also rose to the occasion to take silver in the 1500m with a PB of 4:09.10 and in the discus, Kirsty Law took silver with a season’s best of 54.63. They both now will be striving to hit Berlin qualifying marks in the coming weeks to secure selection. CEO of scottishathletics, Mark Munro, said: “It is fantastic to see so many strong performances from Scottish athletes again this year as well as some new medalists adding to the medal tally with the likes of Beth Dobbin and Jemma Reekie. 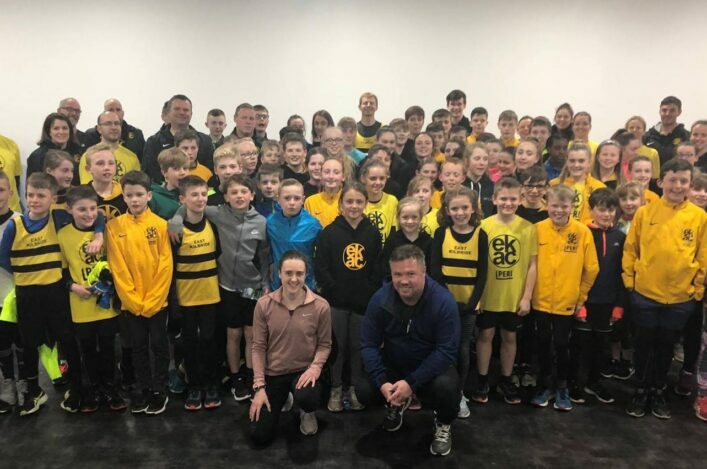 “Whilst recognising the athlete performances we must also thank and praise the great coaching going on behind the scenes. If an athlete is training 20-25 hours per week then the coach is working for at least 30 hours!